The museum was founded in 1977 by a group of local volunteers who wanted to showcase the areas rich maritime heritage. However in 2000, the museum was forced to close on the grounds of Health and Safety. In 2007, members of the community came forward and formed a new committee to reopen the museum for the benefit of visitors and the local community. 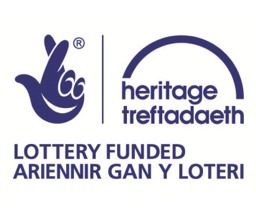 A funding package was successful which included grant funding from the Heritage Lottery Fund, the Welsh Assembly Government, Tir a Môr fund, AONB Llŷn, Nefyn Town Trust, Gwynedd Council and the Cyfenter fund. The museum will house a permanent exhibition, stage for small performances, research space and a cafe and shop. The museum is of free entry to encourage multiple visits. A varied programme events is planned which will include guest lectures, activities for children, temporary exhibitions and opportunities to volunteer and work experience. The redevelopment work started in the autumn of 2012 with the construction of a new roof and ramp to enable disabled access. Sensitive and sustainable development has taken place including the installation of insulation, new windows and floor, and an Airsource heating system.